A garden by Wellington landscape designer Jamie Reid offers a strong underlying architectural structure generously planted to reflect the style and individual tastes of each client, their home and the surrounding landscape. We offer a comprehensive, professional design service catering to all needs, budgets and styles - if you are thinking about the garden we have 19 years experience to either offer friendly advice or to help add practical, innovative beauty and value to your property. Designs for your garden will be suited to your needs and tastes and will be sympathetic to your property. GROUNDBREAKERS LANDSCAPING provides a complete landscape design and construction service. Established since 1998, We are qualified landscapers and designers with experience in all aspects of landscaping from retaining walls to planting schemes . We work with the client from start to finish to create stunning gardens. Noble Fox is a bespoke design consultancy focusing on creating stylish, enduring and comfortable living and working environments with a bit of a twist. We believe that everyone has their own sense of style just needing a little encouragement…we help clients to create amazing living spaces for their lifestyles. 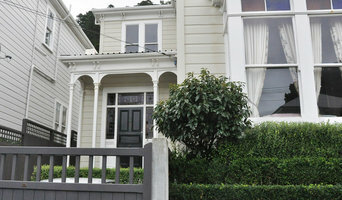 We carry out work throughout New Zealand and abroad. The philosophy of my business is to provide quality professional advice and service to my customers. I believe in carefully listening to what the client wants, and matching these needs with the conditions on the site. 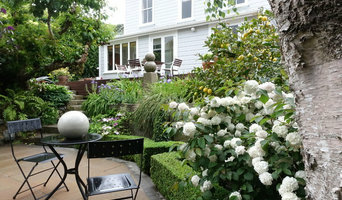 S J Gordon Design provides a complete landscape and garden design service in the greater Wellington region. Experienced in residential and commercial projects, our aim is to work with you to create an enhanced outdoor environment. Perhaps you just need a bit of advice about your garden? We are happy to come and have a chat. 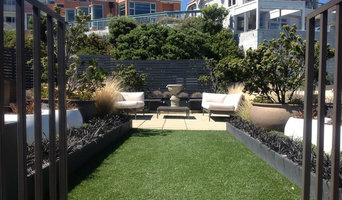 Earthwork Landscape Architects (Wgtn) Ltd have been designing outdoor living environments for Wellingtonians and those further afield since 1993. We have gained a solid reputation as a top quality, design-focussed practice which creates exciting yet workable designs for our clients and we take pride in continuing to build on this reputation. Maloney Landscape Design (trading under Gradient Limited) is a family run, Wellington based company specialising in making functional and delightful outdoor spaces. Our design philosophy is to engage with clients to achieve an outdoor space that reflects their personality and their style of living. We believe that each client has their own unique solution, and working closely with the client to define and refine the solution is key to a successful outcome. We endeavour to create a seamless style transition between your house and garden, so the garden becomes an extension of your home with another room to relax in. By borrowing special features in the surrounding landscape, we can enhance your garden by allowing your eye to see these as part of your own garden. However, if there are unsightly features surrounding your property, then we will design a garden that holds your interest within your beautiful garden! Andrea Maloney is the Principal Designer and she has a technical background in geology and groundwater. She comes from a gardening family where her upbringing was rich in colour, texture, light, sculpture, dance and drama. She has a lifelong passion for design in outdoor spaces and gardens. She brings knowledge in soil, groundwater drainage and water supply, and has a keen, practical eye and an ability to bring a garden alive with native and exotic plantings. 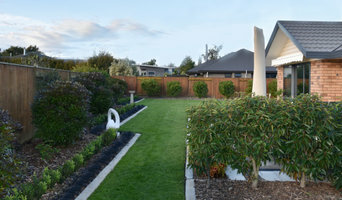 She likes to use NZ Native shrubs and trees together with hard landscaping, lighting and sculptures to form the structure, or backbone, of the garden. This will enable your garden, or landscape, to hold your interest through all the seasons providing form, colour, texture, scent, movement, lighting, security and a source of food for our native birds. A combination of native, exotic and edible planting groups, are used to add extra interest showcasing the owners flair and interests. Kevin, Andrea’s husband, has a background in engineering, technology, innovation and business. He is practical and enjoys creating functional, quirky designs. He likes to think outside ‘the box’. Kevin has good project management skills. Andrea has worked in the landscape design industry as a sole trader since 2005. 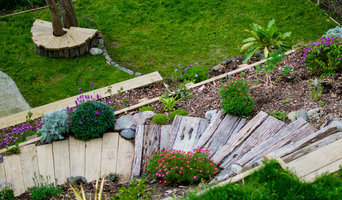 She formed Maloney Landscape Design in August 2008 and has completed many successful engagements. In June 2012 the company was incorporated and has accredited membership with Landscaping New Zealand. Hand-crafting outdoor living. Gardens designed and created - helping homeowners make their properties more usable and attractive. From concept drawings, through managing the construction of the hard-landscaping and planting for the final touch. We even provide a maintenance programme for our gardens to keep them looking beautiful over the years. The team develops gardens for new homes and refreshes those which are tired and unloved. Landlords/ladies use our services to maintain their investment and keep their properties attractive. Clients who appreciate their gardens but do not have the time or the physical ability or plant knowledge also use our services, choosing regular visits of fortnight or monthly or seasonally. We have strong ties with other professionals to provide specialist garden services such as tree trimming, stump removal, fruit tree care, large scale eco-planting and lawn creation and maintenance, specializing in establishing lawns in coastal areas. MNLA take on a wide range of landscape architectural projects throughout New Zealand. From small urban gardens to large scale master planning at a community level, our process focusses on understanding the unique needs of each client and project through meaningful dialogue, consultation and research. We collaborate with an established network of consultants and contractors to deliver sustainable, functional and award winning projects, on time and within budget. Designer Ben Hoyle has been surrounded by plants and creating gardens for as long as he can remember. Since founding Blue Gecko Landscapes in 1998, Ben has evolved from humble beginnings to become one of New Zealand's most widely celebrated landscape designers, achieving numerous accolades and awards both nationally and internationally. Based on the stunning Kapiti Coast, Ben's practice primarily works within the Wellington Region though happily accepts commissions throughout New Zealand and further abroad. His artistic and uniquely innovative style coupled with his highly practical knowledge of plants and construction techniques translates beautifully within the outdoor environment, from traditional suburban gardens and inner city courtyards, to larger estate, lifestyle and civic landscapes. We offer a number of services from on site consultations, design only concept plans (if you wish to build the garden yourself), through to tenders and construction. We pride ourselves on providing a high quality, no pressure or obligation service. Houzz is a great place to start your search for the right Upper Hutt, Wellington landscape architect or designer. You can either browse outdoor photos and find professionals linked to them, or you can browse our professional directory, see their latest projects, read reviews, and narrow down your search based on your style preferences. Once you’re down to a few, reach out and get some quotations to make your final choice.